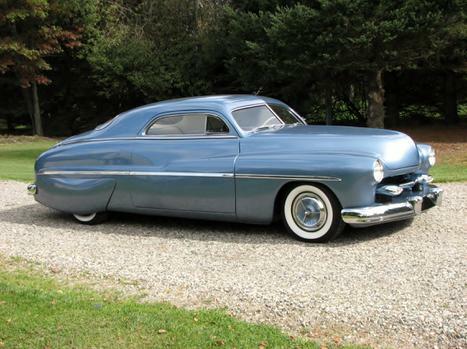 1950 Merc 3 window coupe was an original 4 door Mercury. 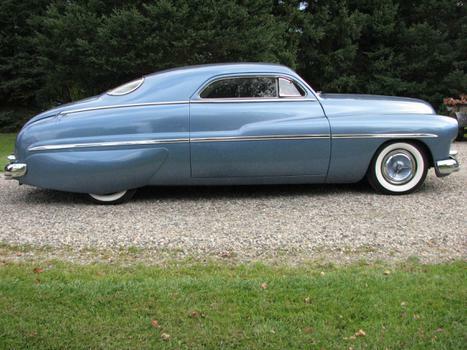 Merc has a 31/2 inch chop, nosed, decked, door handles, and steel bubble skirts. Running a rebuilt 1955 Buick nail head engine with a 9 inch ford rear end. Merc has power brakes, power steering, and power windows. This really awesome custom Mercury is for sale asking $55,000.00.